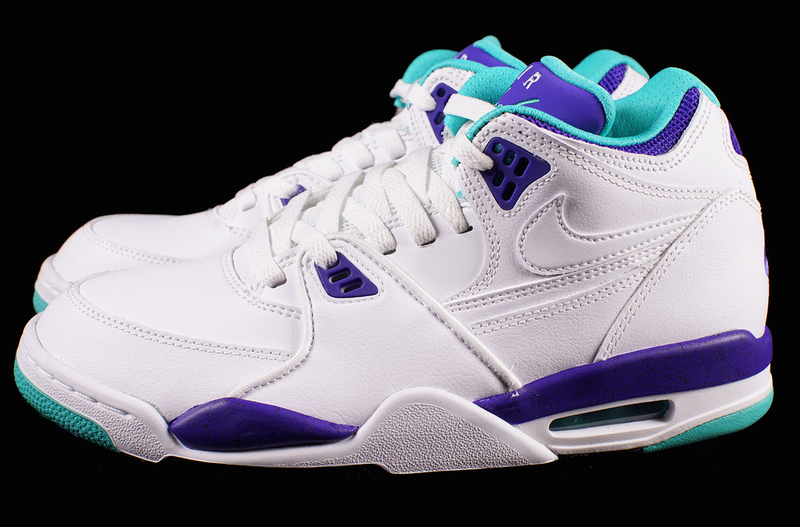 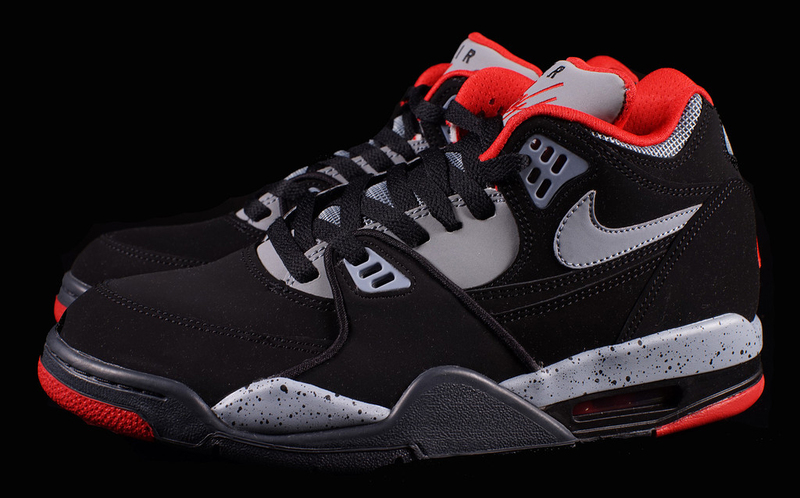 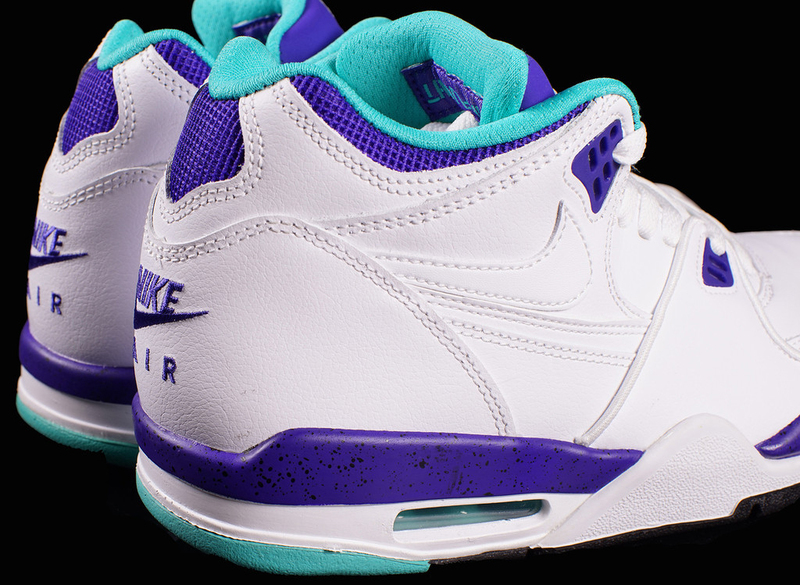 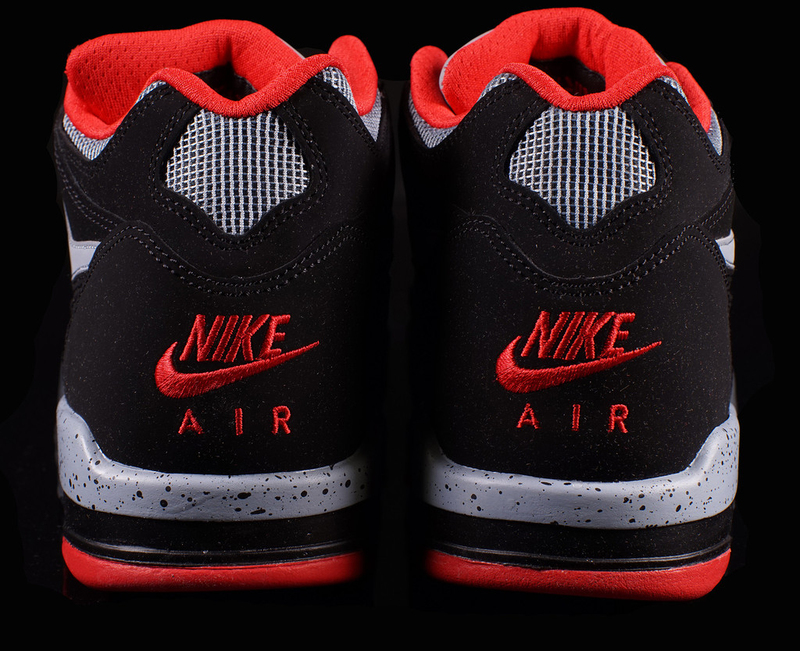 The Nike Air Flight '89 returns this summer in two Air Jordan-inspired colorways. 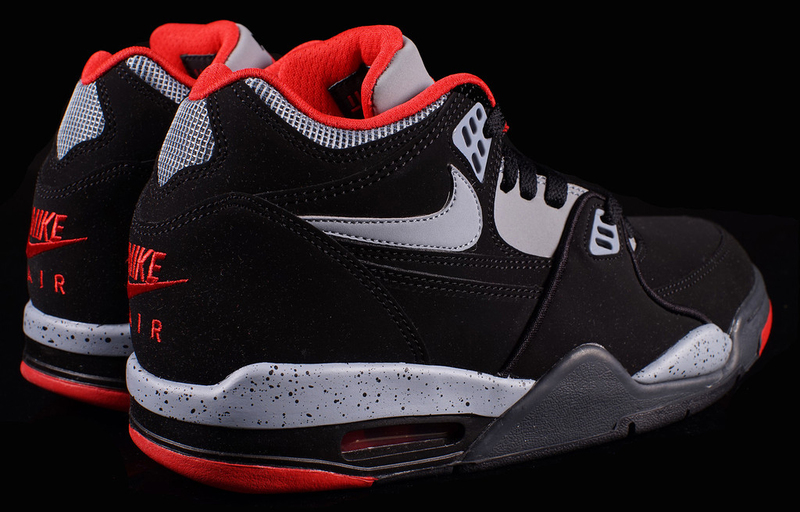 These pairs take their inspiration from the original black/cement grey Air Jordan IV and the 'Grape' Air Jordan V colorways. 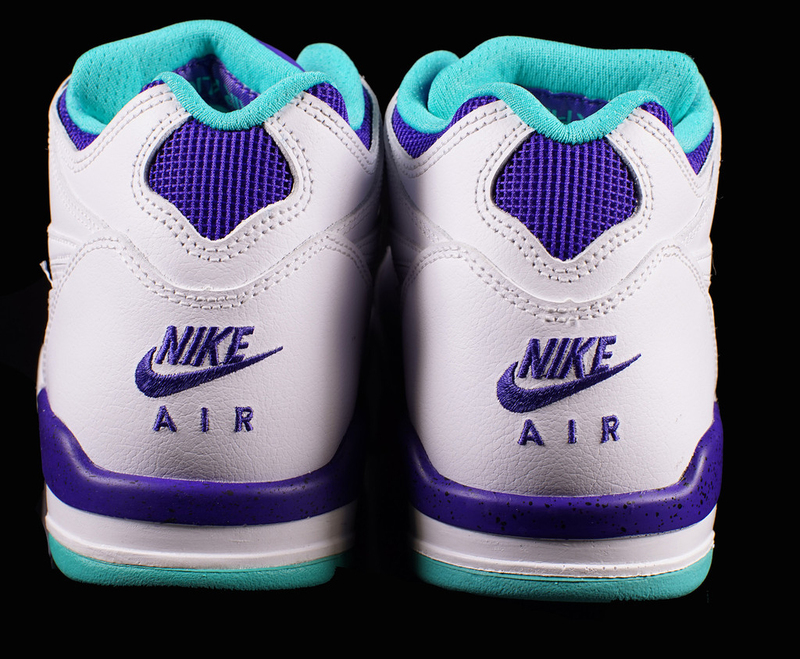 The 'Cement' edition features a black-based nubuck upper with red and grey accents while the 'Grape' edition features a white-based leather upper with purple and teal accents. 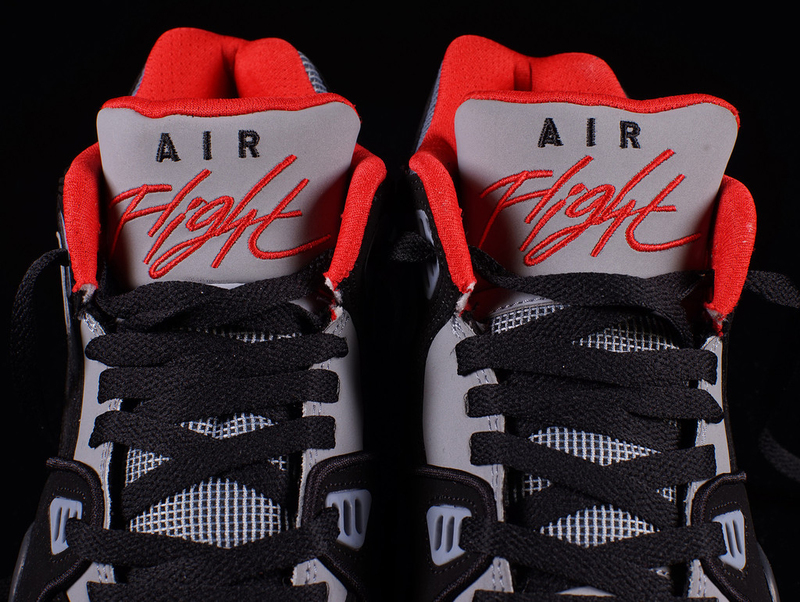 Both pairs sport a speckled midsole along with mesh netting on the tongue and wrapping around the back heel. 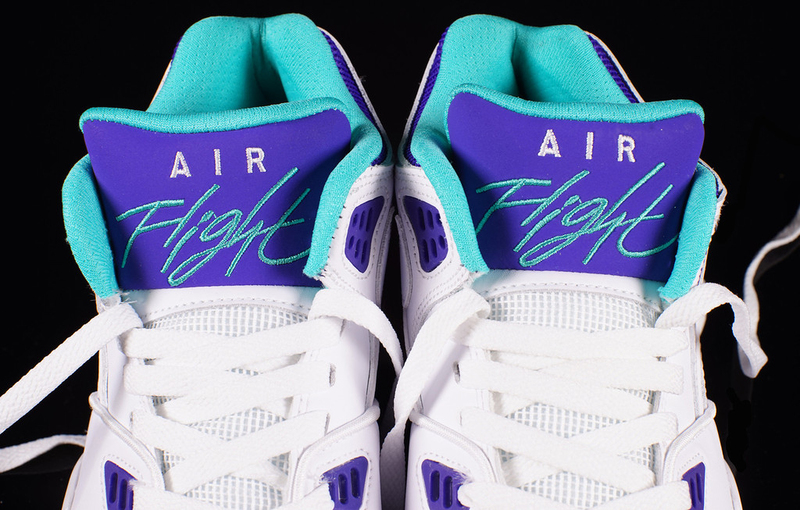 Both pairs are available now at select Nike Sportswear retailers such as Oneness.